With the view that there is wide-scale misunderstanding on the rules governing the smoking of ganja in public, some stakeholders believe more needs to be done to clearly outline the new regulations that came into effect earlier this year. 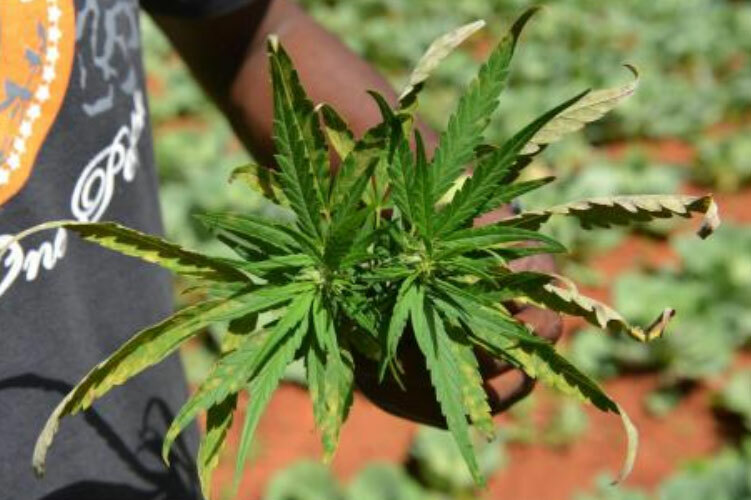 "I am finding that there is a lot of confusion as it relates to the smoking of marijuana in public," stated David Wan, president of the Jamaica Employers' Federation. "I am still going places, gas stations, for instance, and seeing persons smoking marijuana publicly. Too many persons are confused about whether the no-smoking rules apply to marijuana and we have to address this." In response, Justice Minister Mark Golding pointed out that similar to the penalties for smoking cigarettes in public, there are regulations that prohibit the smoking of marijuana in public. In fact, unless prescribed for medical or therapeutic purposes or legally recognised religious reasons, the smoking of marijuana is still illegal. The Dangerous Drugs (Amendment) Act 2015 (also referred to as the Ganja Reform Law), which was passed into law in February and took effect on April 15, clearly outlines the regulations governing the smoking of ganja in public places. Under the new law, a person is only allowed to smoke ganja in a privately occupied residence not being used for commercial purposes. Members of the Rastafarian faith are also allowed to smoke ganja for religious purposes in locations registered as places of Rastafarian worship. Additionally, the smoking of marijuana is legally permitted in places licensed for the smoking of the substance for medical and therapeutic purposes. "Smoking of ganja in public is unlawful and is prohibited by the amendments that were introduced recently. Those regulations basically mirror the rules relating to the smoking of cigarettes in the Public Health (Tobacco Control) Regulations 2013," Golding told The Gleaner. "The only slight difference is the section which speaks to ganja smoking being allowed in any place registered as a place of Rastafarian worship or any place licensed for the smoking of ganja for medical or therapeutic purposes, which is not in the Tobacco Control Regulations." Under the new regulations, a person caught smoking marijuana in public cannot be arrested or detained. The individual can, however, be issued a $500 ticket by the police, giving them 30 days to pay at the tax office. There will be further penalties if the fine is not paid within the required time frame. However, the police are yet to receive those ticket books. As a result, National Security Minister Peter Bunting advised the police to ignore persons seen smoking a spliff, or marijuana cigarette, or who are in possession of less than two ounces of ganja, until the tickets become available. "There is still no timeline on when those tickets will be available. However, as I said in the Senate, I think a cooling-off period is a good thing," Golding said. "I am quite comfortable with the idea that there is a cooling-off period before the police start to issue tickets for personal use (of ganja), because in the past, nearly half of all arrests in Jamaica were related to ganja." He continued: "There is a certain culture among law enforcement on how they deal with ganja, and there needs to be a change of mindset to take into account the different approach that is now applicable, so I am not too concerned right now about getting the tickets."